At Pulgini & Norton consists of property transactions lawyers with more than 40 years of combined experience advising condominium owners and homeowner associations. Our attorneys represent clients in a variety of Massachusetts real estate matters, including condominium formation, conversion, and covenants, conditions, and restrictions. If you have this type of issue, a Boston real estate attorney can help you navigate through the complex state laws and documents that apply in your case. 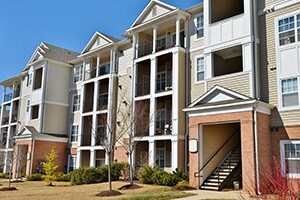 Condominiums are a form of common interest ownership. A condominium may be comprised of a number of apartment-like units within a multi-unit structure, or it can be a stand-alone unit connected to another. A person who purchases a condominium unit owns the unit itself and shares the common areas of the condominium with the other unit owners. For instance, if a person buys a two-bedroom unit, he or she owns the individual unit but shares the hallways, stairs, and recreation areas. Condominiums in Massachusetts are formed under the rubric of state law. The statute requires a master deed and declaration of trust as part of the condominium’s formation. While the master deed legally forms the condominium and outlines its physical structure, the declaration of trust forms the homeowners’ association that manages it. A homeowners’ association (HOA) is responsible for the maintenance of the property. It is run by a board of trustees, which is usually comprised of condominium unit owners. A condominium sponsor may also sit on the board when the condominium is initially created. The declaration of trust includes bylaws that state how the HOA will run. For instance, the bylaws may cover voting rights, how and when HOA meetings are held, and how many trustees can sit on the board. The HOA will also have rules that apply to every unit owner. These rules are known as covenants, conditions, and restrictions (CC&Rs). Regulation of antennas, satellite dishes, and cables. There is generally a fair amount of leeway when it comes to drafting CC&Rs because they are voluntary. In other words, if a person does not agree with their terms, he or she can simply decide not to purchase a unit in the condominium. Certain CC&Rs, however, may not be enforceable. For example, a CC&R cannot discriminate against a minority group. If a particular rule unduly burdens a single owner, or a particular set of owners, it may not be enforceable. CC&Rs often have expiration dates, which give the HOA the ability to change them periodically to accommodate the needs of the owners. The property transactions attorneys at Pulgini & Norton represent condominium unit owners, associations, and boards in a wide range of legal issues. If you are considering the purchase of a condominium unit, we can review and explain the CC&Rs, bylaws, and other documents that could affect your rights as an owner. We also advise condominium boards and associations on CC&R drafting, revision, and enforcement. Our Boston real estate lawyers are committed to client service, and you can rely on our extensive experience to help you address your matter. We represent clients in Weymouth, Malden, and Quincy, among other Massachusetts communities. For a consultation, call our office today at 781-843-2200. You can also reach us by filling out our online form.